i got this email afternoon. It was one of the best scrapes i’ve seen. 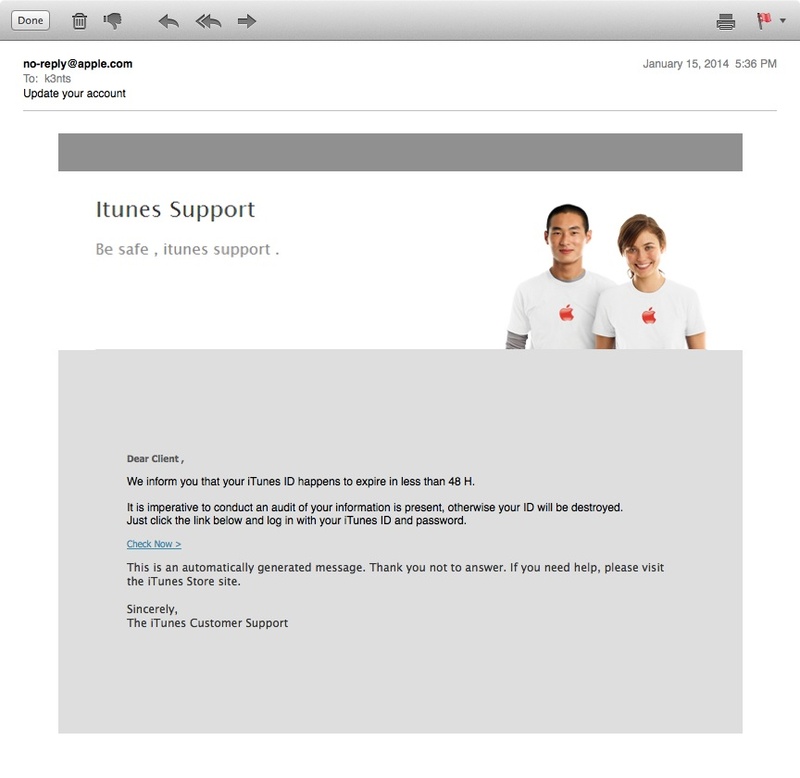 Looks exactly like a real email from that might come from Apple. The giveaway was the email address it was sent to is a junk address, not my iTunes email.. but i’ll bite and see where it leads. 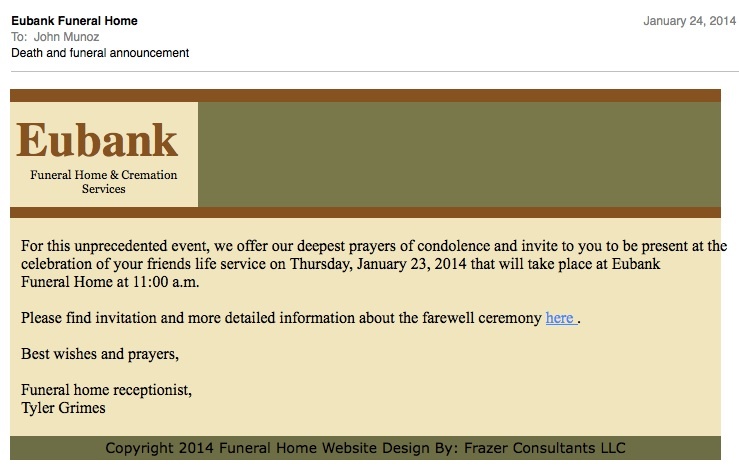 The site it was directed to was even better than the email. 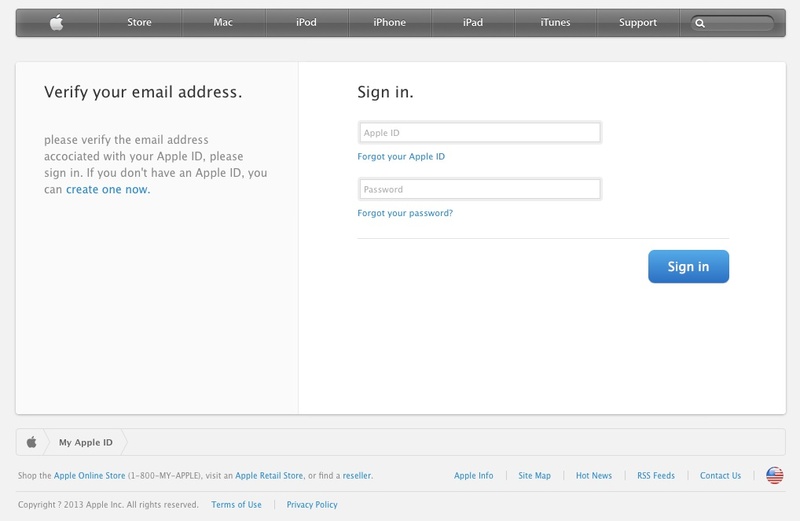 Safari didn’t even blink when the fake site appeared. So recently I DID open a Verizon wireless account, didn’t think I was signed up for auto-payment but I could have.. but I’m sure I couldn’t have racked up $1500 in charges.. could I? So the first thing this email is trying to do is get you to say “What? !” and hastily click on the link to see what the deal is. Again, don’t click links in emails. Ever. Amazon needs to be updated? It has come to our attention that your Amazon Billing Information records are out of date. That requires you to update the Billing Information. Failure to update your records will result in account termination. Please update your records within 24 hours. Once you have updated your account records, your Amazon session will not be interrupted and will continue as normal. Failure to update will result in cancellation of service, Terms of Service (TOS) violations or future billing problems. Log on to your Amazon account and choose the “Help” link in the footer of any page. Well.. first off they address me “Amazon Member”. Amazon knows my name. They would use it. 2ndly in the world of phishing scams.. NEVER click links in emails. Even if they are from someone you know. Instead visit the website directly. 3rd. This message was sent to an email address I created to use in Craiglist exclusively. It’s not the address I use exclusively for amazon. It looks like they are just trying harvest username’s and passwords. But still that’s usually enough to cause havoc. It’s a decent screen scrape of the real amazon website.. but the link pointing to http://kayako.mt.net/amazon is a good give away. I would like to seek your help in a business proposal , which although is sensitive by nature and not what I should discuss with someone I don’t know and have not met using a medium such as this but I do not have a choice. I would like to seek your help in a business proposal , which although is sensitive by nature which is not what I should discuss with someone I don’t know and not met using a medium such as this but I do not have a choice . I am Mr. John Kanani, I was the client service manager of the bank where late Dr. Edward Munoz. left behind a large sum of money, he died of a cardiac arrest a few years ago leaving behind a large sum of money with a commercial bank in the Island of Seychelles which is a tax free zone, a place where plenty of rich people tend to hide away funds not ready to be used or invested. I will not mention the amount of money which runs into several millions in United States Dollars and the name of bank presently until we have agreed to deal. I trust you will understand the need for such precautions. So far, valuable efforts has been made to get to his people but to no avail, as he had no known relatives he left his next of kin column in his account opening forms blank. Due to this development the bank has been expecting someone to come forward as a close relative to claim the funds otherwise as the Seychelles national laws would have it, any dormant account for five years will be declared unclaimed and then paid into the government purse. To avert this negative development I and my colleagues have decided to look for a reputable person to act as the next of kin to late Dr. Edward Munoz. So that the funds could be processed and released into any account provided by the person, which is where you come in. We shall make arrangements with a qualified and a reliable attorney to represent you locally to avoid any inconvenience of you coming down to claim the funds. All legal documents to aid your claim for this fund and to prove your relationship with the deceased will be provided by us. Your help will be appreciated with 30% of the total sum which I would disclose in my next email Please accept my apologies and keep my confidence and disregard this letter if you do not appreciate this proposition i have offered you. I wait anxiously for your response. So April from HR sent this email this morning asking me to take three written test on fire and anti-terrorism safety. Attached of course was a zip file trying to pretend to be a pdf file. At least she could have used proper spelling? Terrroism Safety inculding three written tests on Thursday. Last year three in ten emplyoees suvreyed could not pass the Fire Safety test. and your role descrpition. Please take a look at the enclosed materials before April.